Doug Sieck, past Chairman and current board member, is the owner and operator of Deep Root Ranch in North Central South Dakota. 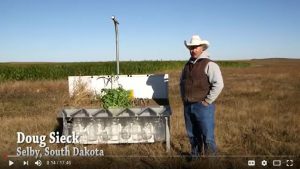 He has been a member of the South Dakota Soil Health Coalition since its inception in the summer of 2015. 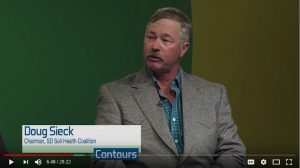 Sieck holds a Bachelors of Science in Ag Business from South Dakota State University and also serves on the board of the South Dakota Grasslands Coalition. He was awarded the “Excellence in Range Management” Award in South Dakota at the annual meeting of the South Dakota Section in 2015. 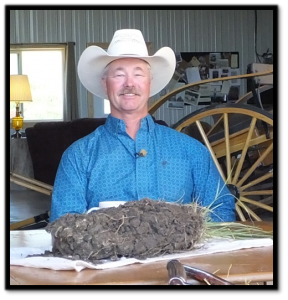 Sieck utilizes a wide variety of soil health practices throughout his farming and ranching operations, some of which include: intensively managed rotational grazing, grazing of full and partial season cover crops, no-till, livestock integration, as well as diversity in crop rotation through the use of cover crops and deep rooted perennials. Soil is the foundation upon which so many aspects of the agriculture industry depend. Healthy soil helps ensure productive and sustainable agriculture. What would be the prognosis of a soil health checkup in South Dakota? Join the conversation with as our panelists explore South Dakota’s soil health.